Particularly in the northern states, many people are cleaning outdoor patio furniture in preparation for storing it for next year. Even in the South, where we can continue to use our outdoor patio furniture nearly all year long, it requires some occasional cleaning. We at My Umbrella Shop would like to give you a few pointers on that. 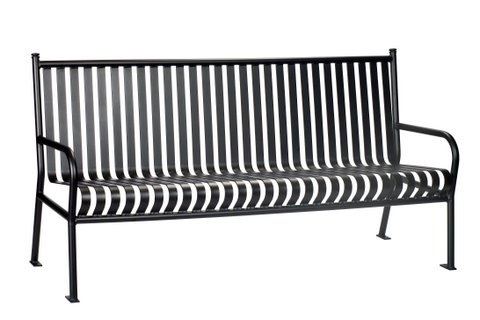 Most aluminum outdoor patio furniture has been powder coated to protect it from rusting. We suggest washing the aluminum outdoor patio furniture, then applying automotive wax for extra protection. Touch up any scratches with car paint in the appropriate color. 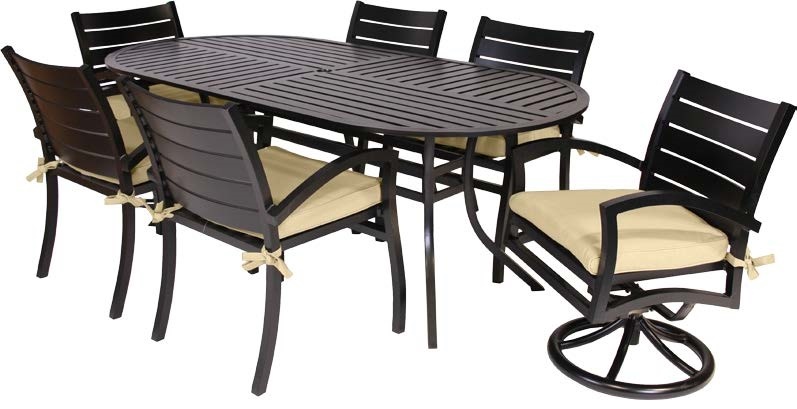 Wrought iron outdoor patio furniture is considerably more sturdy, but any exposed iron is susceptible to rust. Remove any rust with a fine wire brush, then lightly coat the outdoor patio furniture with an exterior spray paint designed for wrought iron. Finally, cover with a quality tarp until spring or store indoors, perhaps in a garage or basement to protect it from the winter weather. 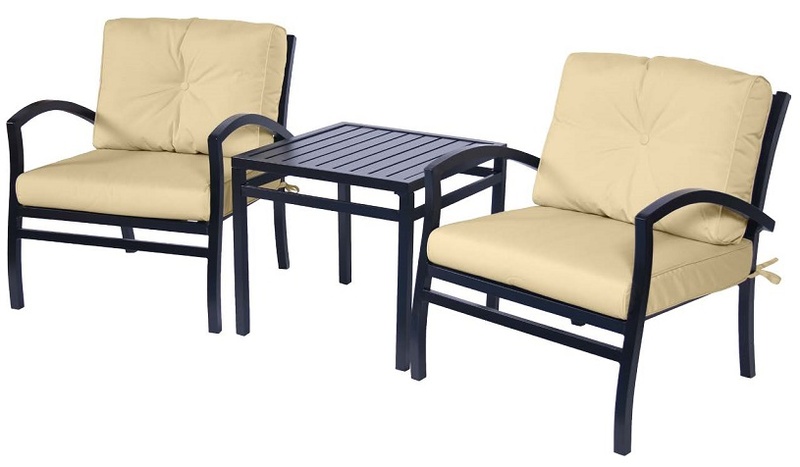 Just like umbrella fabrics, outdoor patio furniture fabric is designed to deter mildew, but acrylic fabrics can still harbor mold if the fabric remains dirty. To avoid black spots, vacuum or shake off your cushions and umbrella at the end of the outdoor season, and keep anything stuffed with foam in a dry space for the winter. For really tough stains, use diluted bleach/detergent mix (one less than cup bleach to a gallon of water, with a squirt of detergent), but don’t use bleach on any cotton or printed fabrics — just use soap and water. Be sure to test a small hidden area of the fabric before using any bleach solution to test it for discoloration prior to cleaning the whole piece. Register to WIN an Umbrella: you will automatically register for our free giveaway and email newsletter. This year and next. Featuring a 92" height with a 68" head clearance, this trendy 8 1/2 Ft. Aluminum Standard Crank and Tilt Umbrella is perfect for any outdoor occasion. MyUmbrellaShop Wood Beach Umbrella 7.5 ft. with Outdura Beach Blue solution dyed acrylic cover , steel ribs and button disconnect. Register to Win a FREE Umbrella!